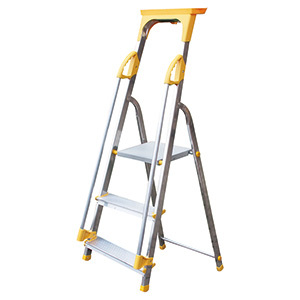 Get high and mighty atop this stepladder. 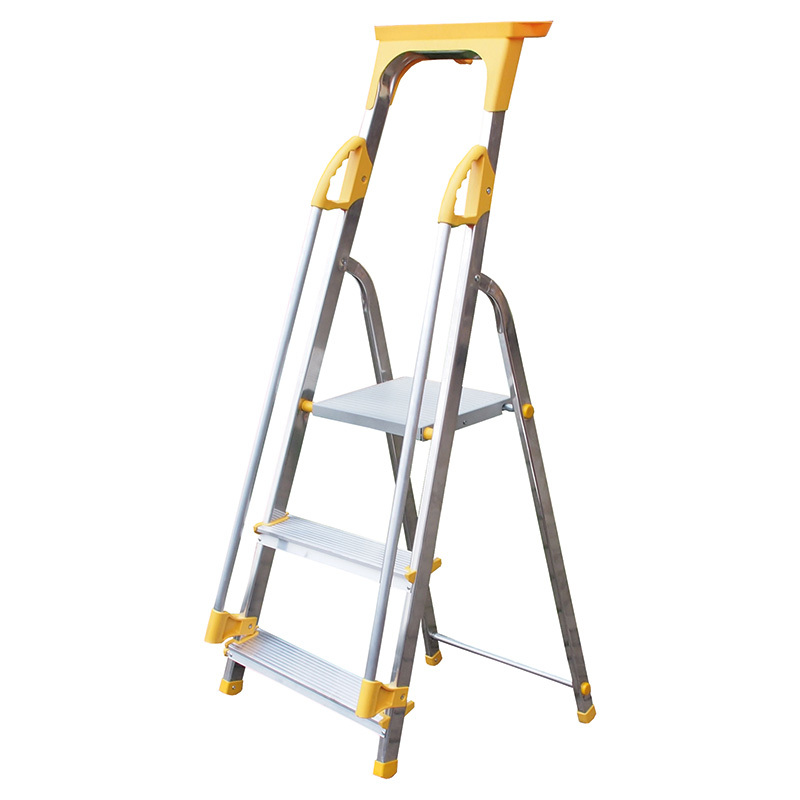 Lightweight, yet strong with 150kg weight capacity, it also features twin handrails and a super handy tray to hold your tool. Finished with slip resistant treads and a top platform for ultimate user safety. With 80mm depth treads and high tensile straps fitted to 6-8 tread, this range of safety platform steps have been constructed with user comfort in mind. 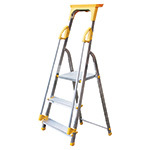 Each model is EN131 compliant, features a 600mm high safety rail and a handy top platform measuring 250 x 250mm.